Flashback was something of a sensation the first time it was released. A smart, smooth platformer and the first game to use motion capture to nail its animations - in a lot of ways it felt like one of the first games really designed with an adult audience in mind. This 25th anniversary edition, produced in conjunction with the original's creator Paul Cuisset, offers you two different ways to play - the original 16 bit version or an updated version with some quality of life improvements befitting of the year 2018. After fleeing an alien spaceship Conrad B. Hart wakes on one of Saturn's moons, Titan (mercifully planted with an artificial forest in the year 2142). It's down to him to recover his memory, escape Titan and uncover an insidious alien plot that threatens Earth. This is a smart sci-fi platformer that often gets ranked among the top 100 games of all time. It's so faithful to the original release that one of the graphics filters even comes with audio that simulates the static interference you'd have got when playing over an RF cable. It's touches like this that'll give older gamers the warm fuzzies (even if they might leave younger players a little baffled). 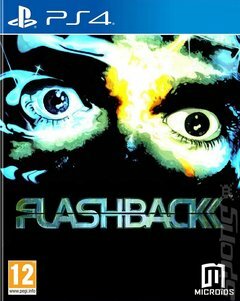 Flashback is a classic, and now PS4 owners can get a piece of the action.